Another day, another renewed alert from Environment Canada. Actually, make that alerts, as both the heat warning and the special air quality statement have stuck around for the third day in a row, being reissued just after 4 am Thursday morning. Needless to say, it’s going to be hot, it’s going to be muggy, and you’ll likely want to stay inside air-conditioned buildings as much as possible to make it through the day. As always, it is recommended to stay inside at a cool, well-ventilated building, and to consider going to a shopping centre, library, rec centre, or another air-conditioned place if your home does not have AC — or you may just become a pile of sweat. Those exposed to the smoky air may experience coughing, throat irritation, headaches, or shortness of breath, and anyone with pre-existing medical conditions (especially cardiovascular or lung disease) are especially at risk. Signs of heat distress include high body temperature, lack of sweat, confusion, fainting, and unconsciousness, so it is always important to keep an eye out for these symptoms not just in yourself, but in those around you. Salvation is on the horizon, though, as this weekend will bring some rain to (hopefully) cleanse the city of its smoky cover. 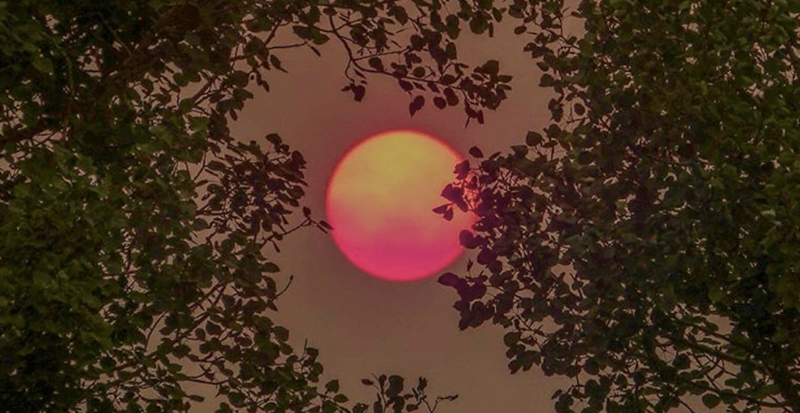 ….But before that, Calgary is in for what could very well be the hottest day it has ever experienced — in recorded history, that is. Friday is forecasted to be as hot as 36°C, a temperature that is not far off from the all-time record of 37.1°C. That A/C is a definite must for tomorrow.